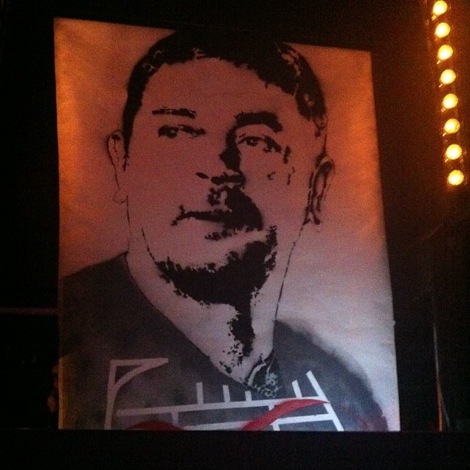 The man behind Shack, The Strands and Pale Fountains, Michael Head plays a rare Liverpool gig at the Kazimer in October, Getintothis’ Gareth Roberts selects ten diamonds from a Merseyside song-writing genius that for many, sadly, remains under the radar. 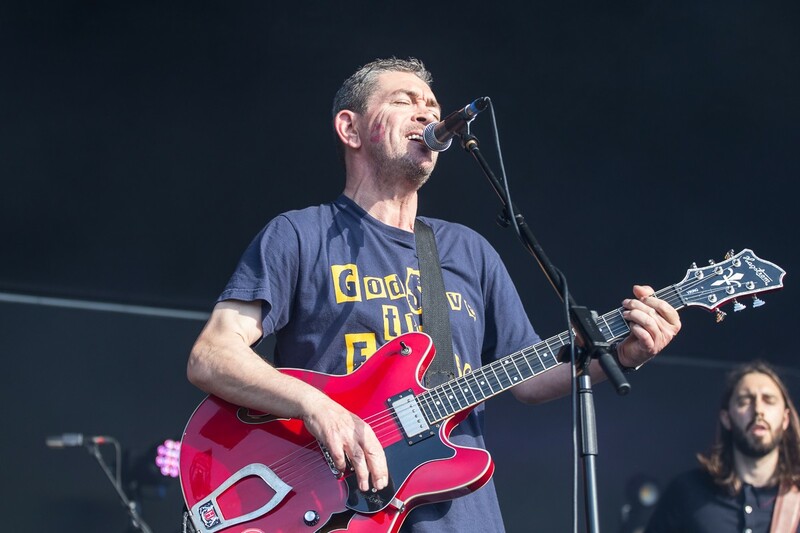 Michael Head is the brains behind two 9/10 albums, according to the NME: Shack‘s Waterpistol and The Magical World of the Strands. And there lies the sad dichotomy of the man behind The Pale Fountains, Shack and The Strands: he is simultaneously a success and a failure. Those that fall under his spell – that rank includes Noel Gallagher who put out Shack‘s fourth album The Corner of Miles and Gil in 2006 ­- rate him alongside the greats yet the closest he has come to seriously denting the charts is a top 25 album – 1999’s HMS Fable – and a No.44 single, Comedy. Nevertheless, selecting ten tracks from a back catalogue of brilliance should be a piece of piss – right? If Mick was sat at home in a mock Tudor mansion with gold discs and a Cuban cigar between his teeth, maybe it would be. Instead, writing any article on Mick or his work feels like a sales pitch to the unconverted – his talent deserves more and you feel duty bound to do his work justice. With this in mind, we’ve been staring at the back of album covers for days; wandering about, mulling it over, randomly relaying snippets of songs to family members like we’ve developed a tuneful (ahem) version of Tourette’s. And after all that, we’ve simply done what we should have done from the start – gone with our gut instinct. It’s torture to leave out so many classics and it just underlines the strange feeling that pervades when considering that someone so good should be playing a 480-capacity venue in his home city. To the oblivious majority it’s ‘Michael who?’ yet the great Arthur Lee of Love fame once recruited Mick and brother John as his backing band. An evening with Forever Changes should convince you of his musical nous, and while Mick is 51 now, don’t let that put you off – Lee delivered one of the stand-out performances of Glastonbury 2004 aged 59. As anyone who was at Mick’s show at Liverpool’s Leaf Tea Shop or Manchester’s Night & Day in May will testify, he’s more than capable of putting on a performance. It isn’t just a pointless plunder of the back catalogue, either. His new tunes – The Artorius Revisited EP is out in September – more than stand up to scrutiny. That should come as no surprise. Despite the personal demons and bad luck that have plagued Mick Head down the years, he has been making music since The Pale Fountains were formed in 1981. They were soon ­­signed to Virgin for a reported £150,000. Big bucks now, never mind then. In 1982 he said: “I just want to write classic songs”. He’s done that alright. So here goes. 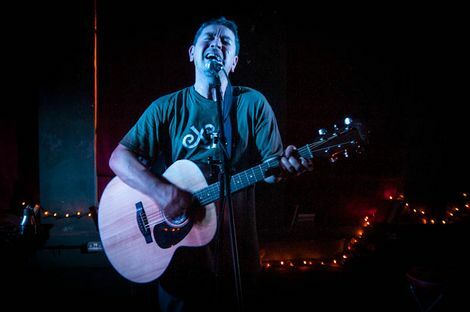 Mick Head with the Red Elastic Band at Leaf Tea Shop, Liverpool last December – pictures by Getintothis’ John Johnson. A beautiful (and we don’t use that word often) love song that’s enough to bring a tear to any hard knock’s eye, Mick’s tender vocals weave between strings and guitars and make a mockery of anyone that has dismissed his talent. Every songwriter strives to convey genuine emotion in their work. Few achieve it. This is the blueprint. This makes the cut simply because it was the first Shack song we ever heard when we were at school. Well that, and the fact it’s been an almost permanent ear worm ever since. Again it’s lo-fi, simple, and incredibly catchy. We saw Mick perform this live recently and he even did the little pop noise. Did it for us. This song sums Shack up. It sounds simple, lazily glorious – like Mick writes and arranges this kind of thing in his sleep (he probably did, or near to it). Waterpistol – the album that so nearly never was (studio burnt down, only remaining DAT was left in a glovebox, the record company went bust) – never gets boring and this track is a big reason why. ‘Beautiful‘ indeed. 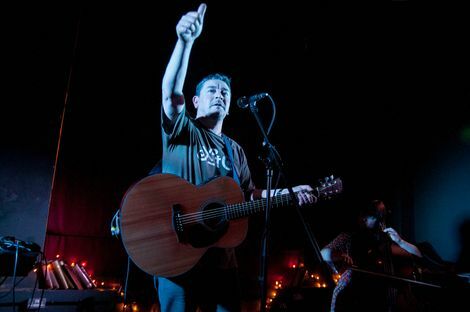 If there’s something that defines Shack and Mick Head, it’s their ordinariness. Not when it comes to their craft but their lives, their looks; their demeanour. Despite having penned two of the greatest albums ever, the lyrics still drip with everyday life in Liverpool. Most lads have sat off at a mates and tried to learn the guitar or write or a song – and that’s what this is about: “Stuck in me ma’s back room/With endless cups of tea.” And who wouldn’t want to try one of Swifty’s cakes? Track one of Shack‘s best album. As soon as the almost lazy drums kicked in, the guitars began chiming and the riffs began chopping, we were sold. Throw in unashamedly Scouse vocals and a touch of the psychedelic and what’s not to love? ‘Come with me‘ – we did, and we’re still there. This was the popular one. It should have been the watershed moment, the time when the general public jumped out the bath in delight, realising what they had been missing out on. But even playlistings on Radio 1 and 2 didn’t whet the appetite of the masses. Their loss. Another from Here’s Tom, and the Love influence is magically apparent. Horns, strings, it’s the full hit, but this isn’t Beady Eye-like opulence to window-dress an average tune, this is merely adding the bells and whistles to a typically solid Mick Head melody. Zilch was released in 1988 and the production sounds incredibly dated and unsuited to the songs. Hear these songs live (see below, for an early recording at the Bluecoat) and they get a new lease of life. All that said, it’s still a great album and this is one of the best on it. Grim or not, if you’re not soon singing along there’s something wrong. Mellow, moody and our five-year-old son’s favourite Shack song. Taken from Here’s Tom With The Weather, the 2003 album they knocked out in seven weeks. Top 10 tracks featuring Led Zeppelin, David Bowie, Genesis, Radiohead and more.